At Halloween, nothing can be more satisfying than hollowing out pumpkins that you’ve grown yourself. Children are hugely excited at seeing the long tendrils winding and trailing their way across the ground and the plump fruit starting to appear. Pumpkins are in the same ‘family’ as cucumbers, melons, squashes and courgettes and are a type of fruit and not a vegetable. Broadly speaking anything that has seeds is classed as a fruit. They’re from the Cucurbitaceae family that has evolved to live in extreme climates. Pumpkins like free draining soil with lots of organic matter (compost or well-rotted manure), and are a very thirsty crop (think watery end product), so make sure they’re watered regularly once they’re growing. 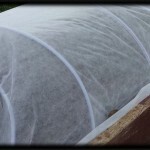 They can be sown out doors in spring with protection – under a cloche such as, or without protection once the weather warms up and the risk of frost has past, usually from early summer. 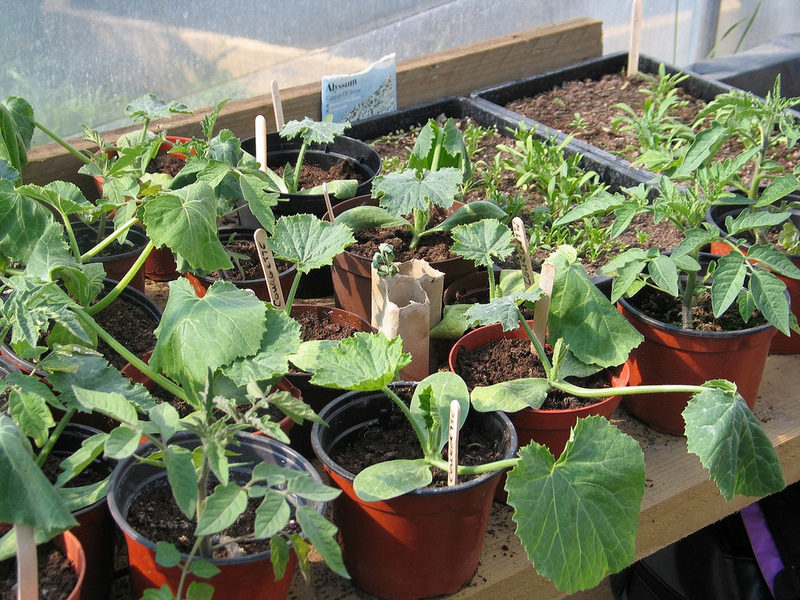 To give them a head start, sow seeds indoors (in April or May depending upon where you live, just before the last frosts are expected) and plant the seedlings out at the beginning of the warm weather. 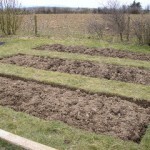 Allow 1.2m (4ft) between plants. Pumpkins produce side shoots (a shoot that develops off the main stem). Let each side shoot grow a male flower. (A male flower can be recognised as one that doesn’t have a tiny pumpkin attached to the base of it.) When the next female flower appears, cut the side shoot just above the female flower to stop the shoot growing any more. A female flower can be recognised as one that has a tiny small pumpkin growing below it. More side shoots will develop off the main stem and this practice can be repeated all along. This will encourage several smaller pumpkins and not one huge one. This process can seem extremely confusing to a beginner, but don’t panic! 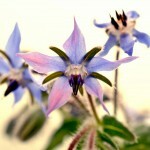 If you leave the flowers on all is not lost, and you will begin to recognise the male and female flowers as they grow. To help you recognise them, you can find lots of pictures on-line if you google “images for male and female pumpkin flowers”. 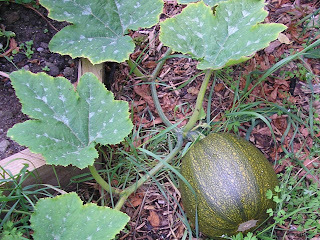 Place something underneath each developing pumpkin to prevent it rotting… a piece of weed fabric, some straw – anything to prevent it sitting in the soil. As with other members of the cucurbitaceae family, pumpkins are not frost hardy. They wont necessarily have changed colour before you harvest them either. 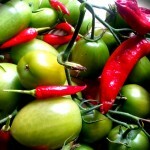 It’s safe to leave them growing until the first frost before you cut the fruit off the plant. Try to leave about 5cm of stalk on each pumpkin. Unlike other fruit or veg, pumpkins need to be stored in a warm place – 10ºC to 16ºC (50-60ºF). Most varieties will store for up to six months in a well ventilated place. 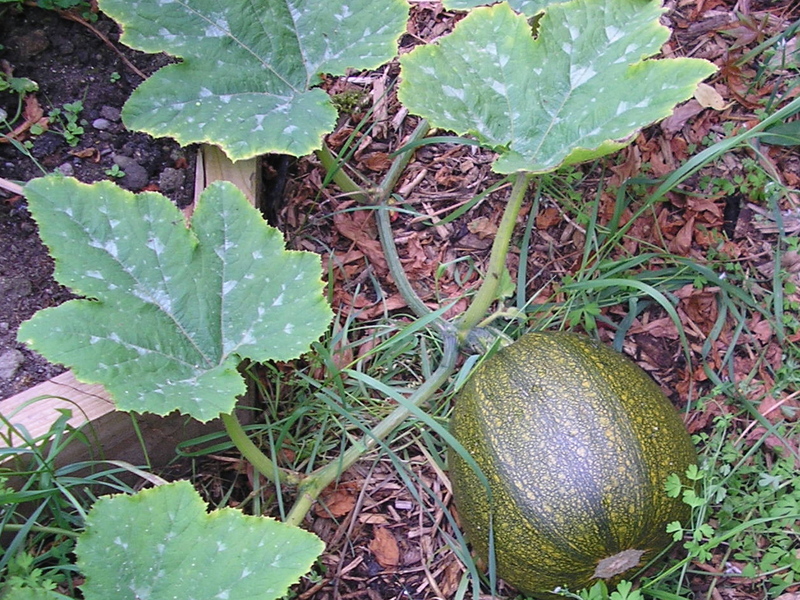 There are several varieties of pumpkins, squashes and gourds available, from tiny ones of just 8cm across when fully grown, that can be stuffed and baked with edible skins, to the huge Atlantic Giant which can grow up to 600kg. The Organic Gardening Catalogue from the UK has a lovely choice with evocative names such as Turks Turban, Lady Godiva, Trombolino, Cinderella and Blue Ballet, to name but a few. Wait until the pumpkin is fully ripe. Remove the seeds, place into a colander and rinse under a tap, washing off as much of the fibrous coating as possible. Once cleaned, spread the seeds out to dry on foil or baking paper (not kitchen roll), turning them after a couple of days. A sunny windowsill is best but not in full sun – they need to be warm and not baked! 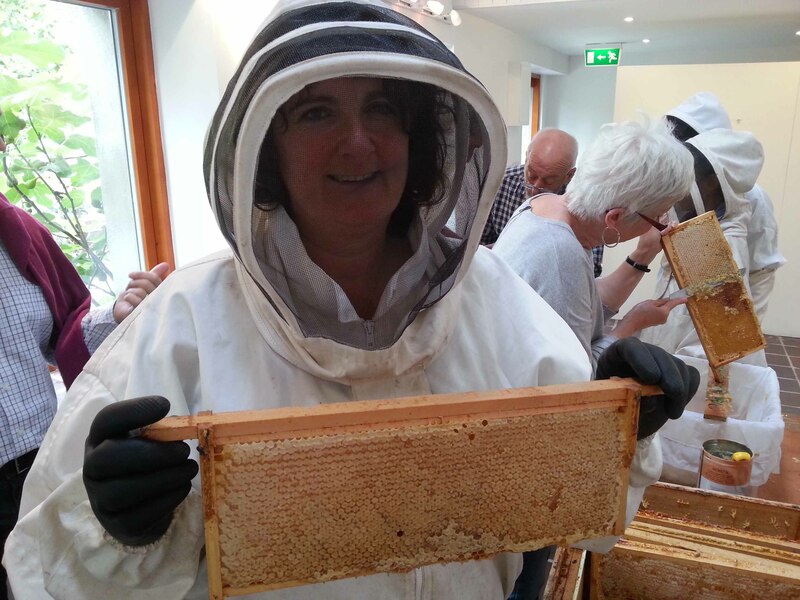 Ensure they dry thoroughly, which may take a few weeks. When completely dry, store in an airtight container. To test try bending them in half – they should snap. They should remain viable for up to five years. When you’re ready to sow you can soak the seeds for several hours in warm water – not hot – which will help to speed up germination. Incidentally, the green pumpkin seed that we buy as snack food is actually inside the shell. You can eat both but some people find the shell unpalatable and the shell will pass through the digestive system undigested. Apparently Native American’s traditionally chewed whole pumpkin seeds as an agent for expelling intestinal worms! This was part 2 of 3 a seasonable blog on Pumpkins. 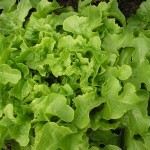 Lettuce… how many should I plant? I have been enjoying your pumpkin posts. We grow small sugar pie pumpkins and they always do pretty well for us. I have got to come up with a better plan for keeping the fruits off the ground though, perhaps I will try the weed fabric or straw as you suggested. I used boards this year and still lost a few to rot…it is so cold and damp around here in the fall. I added "The New Covent Garden Food Co Book of Soups" to my amazon book list, it sounds like a book we would really like. Are they good to eat if you dry them like this. 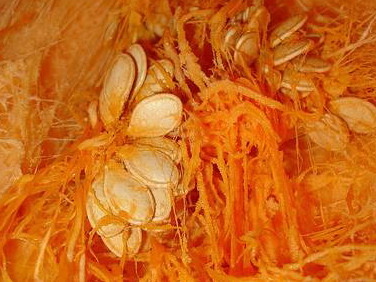 I have totally failed to make tasty pumpkin seeds from fresh seeds in the past. It's a lovely book Mr H, we've made several soups from it now. Amanda I agree! When I tried to eat them having dried them out as suggested they were disgusting! However, I didn't realise back then that it was the inside of the shell that we tend to eat! Try this link http://www.mahalo.com/how-to-cook-pumpkin-seeds for a handy youtube clip on several methods of cooking them, including roasting them. I'd love to hear from anyone who's successfully cooked their own and enjoyed them! Why do we carve out pumpkins at Halloween?